Welcome to Flair, a traditional home help service based in Wokingham, Berkshire. We pride ourselves on our quality of care and wide range of affordable services including housework, shopping, laundry, companionship and many others. We offer a range of services from general housework to outings in the community, all of which are tailored to your individual requirements. Our team are caring, dedicated and understanding. We love what we do and always do our best to make sure every customers needs are met. However is easiest for you, we are more than happy to speak with you either by telephone, email or a personal home visit to discuss any enquires or requirements you may have. Flair is a traditional home help service providing assistance with housework, shopping, laundry & ironing, companionship, check calls, outings, and one-off cleans. We offer continuity by sending the same member of staff (where possible) to each client, and offer a transport service to take you to appointments. We strive to provide the best possible service to all our clients. We will send the same member of staff to provide continuity and re-assurance, as well as always offering a friendly service with a smile. General domestic tasks such as hoovering and dusting as well as cleaning of bathrooms and kitchens. We offer these services on a weekly or fortnightly basis. We can accompany you to your preferred store, or we are happy to take a list and do it for you. Either on a one off or regular basis. We can take your laundry away or do it in the comfort of your own home, whichever is the most convenient for you! Not everything has to be scheduled! We can cater for one-off requirements aswell, just give us a call and we will see what we can do. Outings such as the cinema or garden centre. We would endeavour to have the same staff member accompany you on each occasion to provide continuity. Whether it be a trip to the bank or supporting a person with dementia/alzheimers at community groups, our friendly team are here help. If a person is unable to be left on their own, we can sit with them until a family member or a friend returns, giving you peace of mind and them some company to pass the time. Sometimes it's nice just to have some company. Our friendly staff are more than happy to spend time with people giving them someone to talk to and have fun with. We can check in on a loved one and check if they have taken their medication (please note we cannot administer medication, only prompt). Established since 2008, we have a steadily growing clientele and have built up a reputation for being reliable, trustworthy and friendly. We pride ourselves on providing continuity, which we believe is the key to our success to date. All our staff are CRB checked and insured, and we offer ongoing training to ensure our continued commitment to providing an excellent service to our clients. We are based in Wokingham Berkshire, and provide our services to the entire local area. You wont find a more dedicated home help service anywhere. Take a look at what our customers say and see for yourself. After working for various care agencies over the years, I saw a gap in the market for a service that offered continuity for its customers. From personal experience I know how important it is to see the same person on each occasion, not only for the client but for the relatives as well. By going to visit the same person every week, you build a relationship with them and if something appears not to be quite right, you are able to recognise this and inform their family. I love my job and find it extremely rewarding. After working in the care industry for over 20 years, I realised there was a niche in the market for a home help service in Wokingham and the surrounding areas. 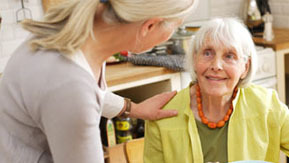 We are well established and offer a competitive caring service. I feel very proud to be able to say that we offer a valued service due to the kind and caring nature of the Flair team. I couldn't be more delighted with the service provided & with the cheerful manner in which the work is carried out. Long may you continue. Just one word, Excellent, Thank you all. Thank you for the Newsletter & i wish you all best for the future. I must say that Anne has been an excellent helper, she is kind considerate & helpful, as pensioners i am sure we would be lost without her help. Enclosed my cheque for all you did for me with grateful thanks, I consider your costs to be very reasonable and would not hesitate to recommend you, to anyone else who is looking for some help. I would not hesitate to ask for your help in the future should i need it. I know my mother was extremely happy with the service she received and it was a huge weight of my mind. I have no hesitation in recommending Flair to anyone in need of home help. I have found Debbie at Flair to be most efficient and very helpful. The staff at Flair are hardworking and totally trustworthy. They carry out their duties cheerfully and I would recommend their services to anyone. Dear Mary and team, I am so grateful for the help you and your team gave our mother, she so appreciated it. I want to take this opportunity of thanking you and your team for providing an excellent service over the last couple of months. Lorraine is a lovely lady and showed great respect for Mum-which is just as important as the standard and efficiency of her cleaning, which i may add is very high. I hope this arrangement can continue as it's so comforting to know that I don't have to worry. Kind Regards and thanks. Thankyou so much for everything you did for our mum. She really enjoyed your visits and looked forward to seeing you, we really appreciate all you did to help make things a little easier for her. Very best wishes. Please use the following contact form or see the other contact options on the right. Fields marked * are mandatory. We are always happy to meet at your home to discuss requirements. 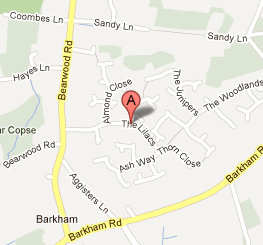 Our opening times 9.00 am - 5.00 pm Mon - Fri.
34 The Lilacs, Wokingham, Berkshire, RG41 4UT. © 2012 Flair Home Help. All Rights reserved.